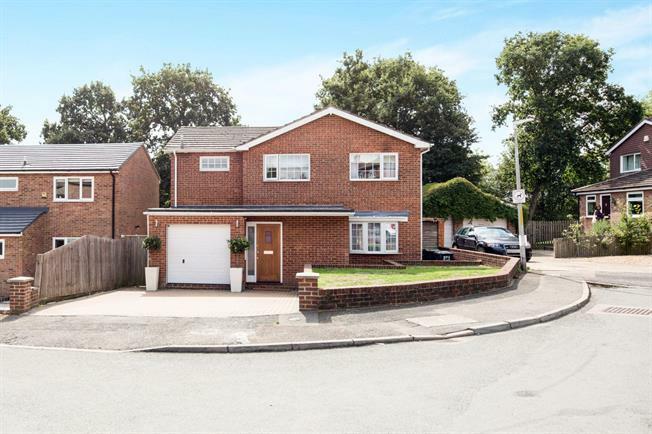 4 Bedroom Detached House For Sale in Tonbridge for Guide Price £650,000. Freeman Forman are delighted to offer to the market this substantial four bedroom detached family house situated on this ever popular road within walking distance of the town shops and mainline railway station. The front door opens into a hallway, with cloakroom and storage cupboard. Off the hallway is a large living room, generous conservatory with French doors leading to the garden, utility room and garage, and a modern fitted kitchen with ample wall and base units plus breakfast bar. On the first floor are four good size bedrooms and a stylish shower room. Outside, to the front is off road parking and a small garden. At the rear is a large garden with a swimming pool, lawn and patio areas plus various trees and shrub borders.